Start Conflans round trip 16 miles. A beautiful Autumn day, clear Blue skies above and fresh cool air. Leaves starting to fall with busy Squirrels high in the tree tops. 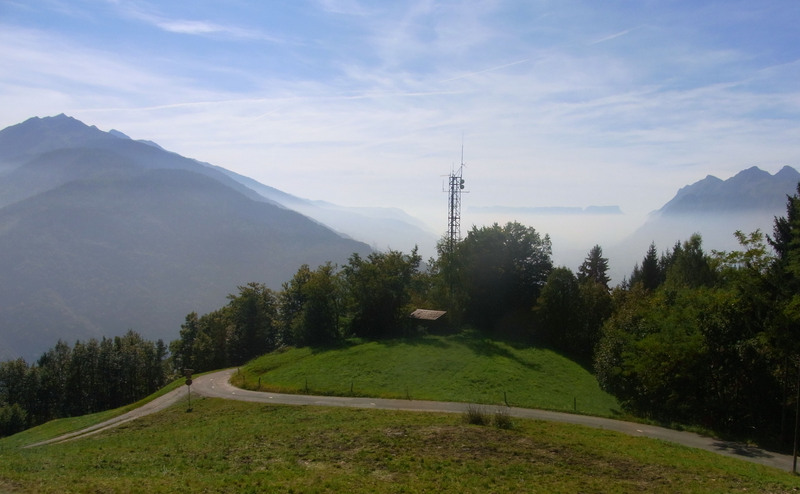 A steep but constant gradient from Conflans a medieval walled town near to Albertville. 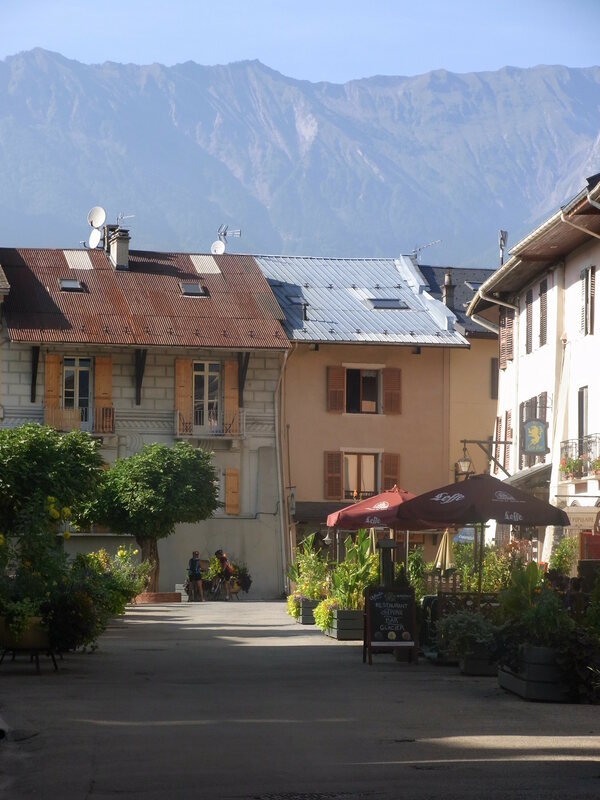 This hidden little peaceful gem full of galleries, cafes and quirky signs for every shop. 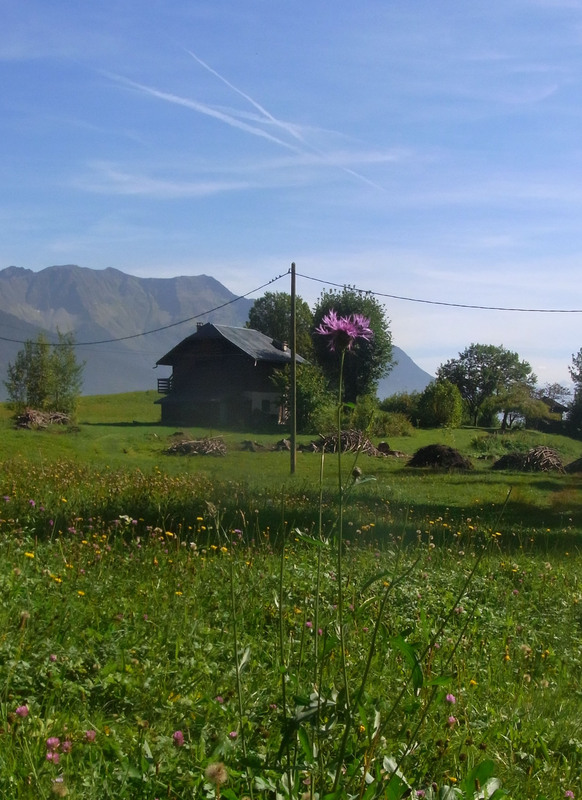 It was like time gone by on a September afternoon like most of the French Alps. Farm traffic and a few walkers were the only company in this pretty wooden valley with pastures opening up to reveal views down the the Charteusse and beyond. With many flowers still in flower, fruit and vegetables ripein every garden I wondered if this area had it’s own mini micro climate. We soon arrived at the over grown Fort Mont, built around the same time as Fort Tamie another beautiful ride nearby. A quick respite, and ready for the promised col only 3kms on. The road became rutted, with loose gravel and steeper gradients. 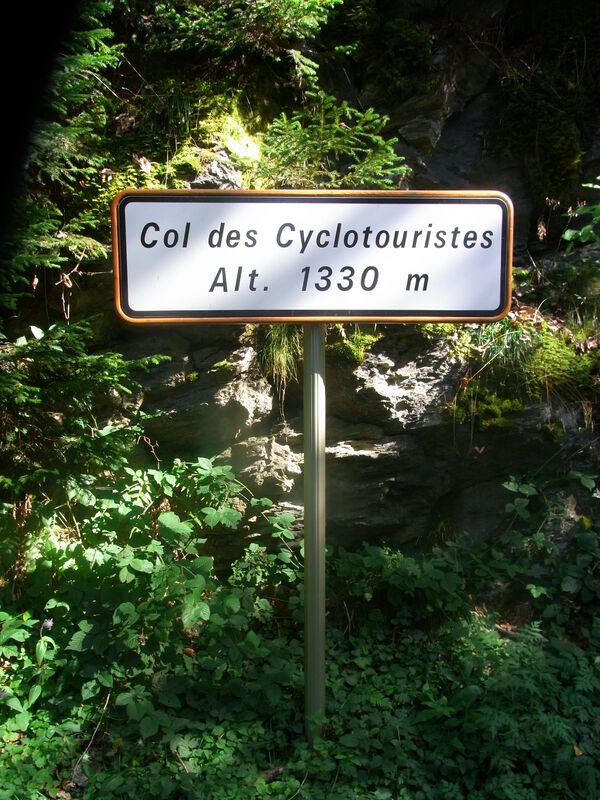 I wondered if this aptly named Col should be the ‘Cycling Tourists Col’ At last we peddled to the summit hidden in trees with a shaft of sunlight lighting the sign and foliage of ferns. A steep retreat and cold hands on the decent down but well worth this pretty little Col. 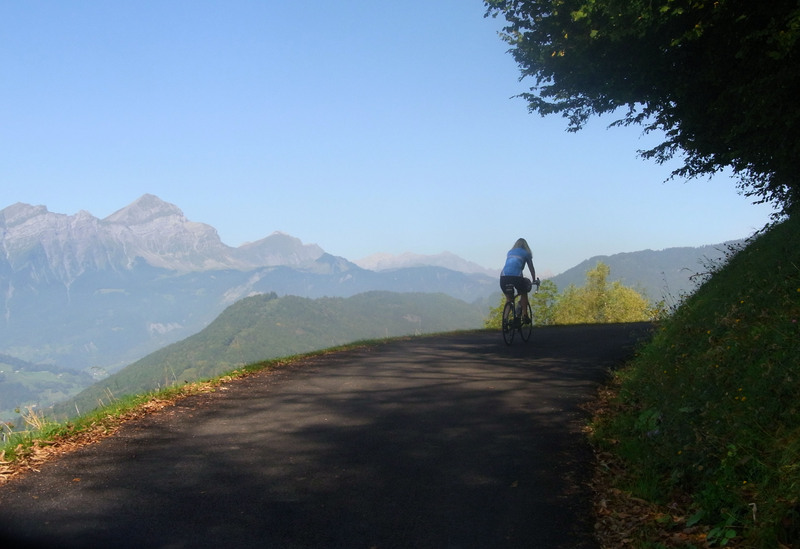 Image | This entry was posted in Cols over 1500m, French Alps and tagged Albertville, col des cyclotouristes, conflans, cycling in french alps. Bookmark the permalink.